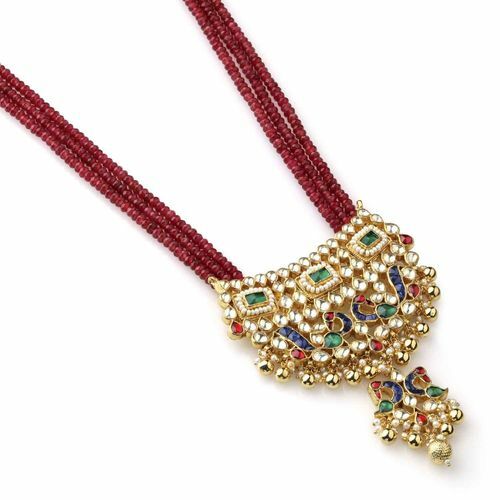 Three strings of translucent red beads culminate in a peacock inspired centrepiece studded with multi-hued kundan stone work. 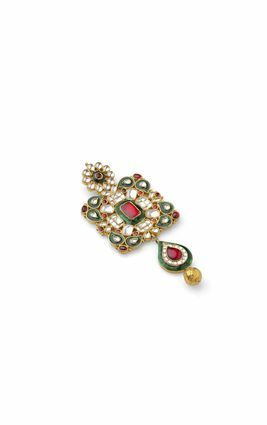 The exquisite centrepiece, handcrafted and polished in gold is as eyecatching as it is quaint. 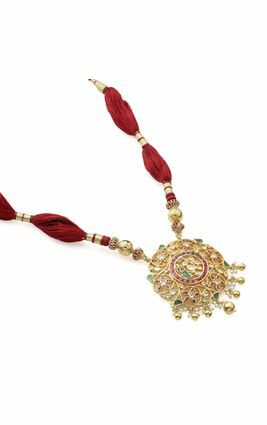 Golden ball jhumkis line its edges ever so delicately. 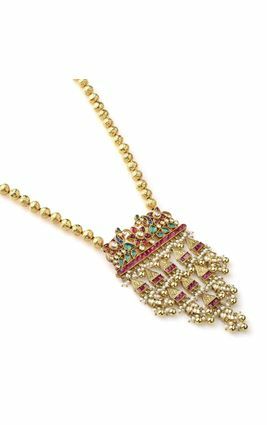 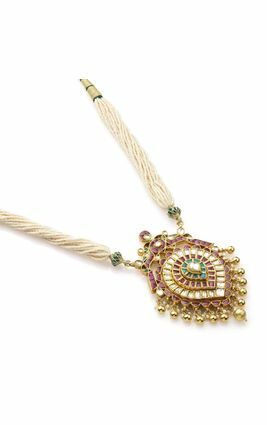 This necklace might as well have been straight from the royal coffers of medieval Mathura. 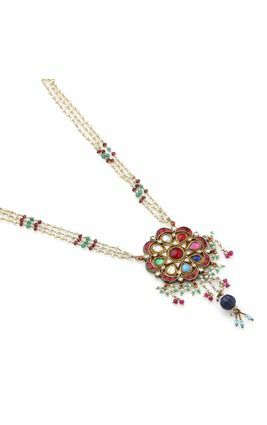 Three strings of translucent red beads culminate in a peacock inspired centrepiece studded with multi-hued kundan stone work. 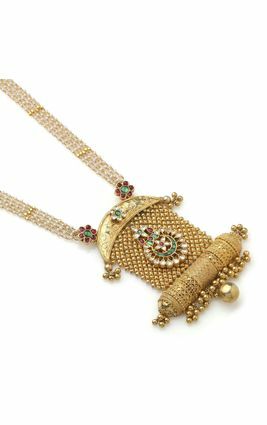 The exquisite centrepiece, handcrafted and polished in gold is as eyecatching as it is quaint. 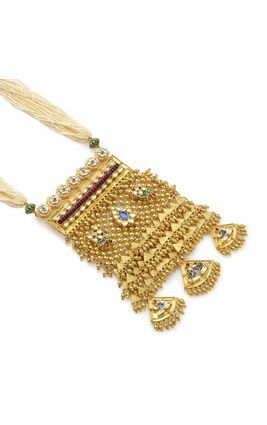 Golden ball jhumkis line its edges ever so delicately. 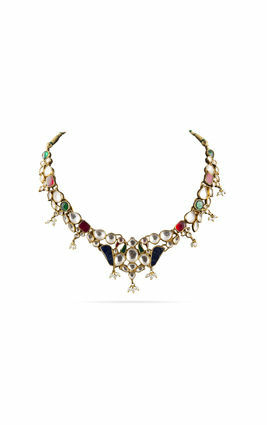 This necklace might as well have been straight from the royal coffers of medieval Mathura.